On March 9, 2006, officers were called to the 9600 block of E. Wilshire, Oklahoma City, OK, in reference to an abandoned truck left in a field. 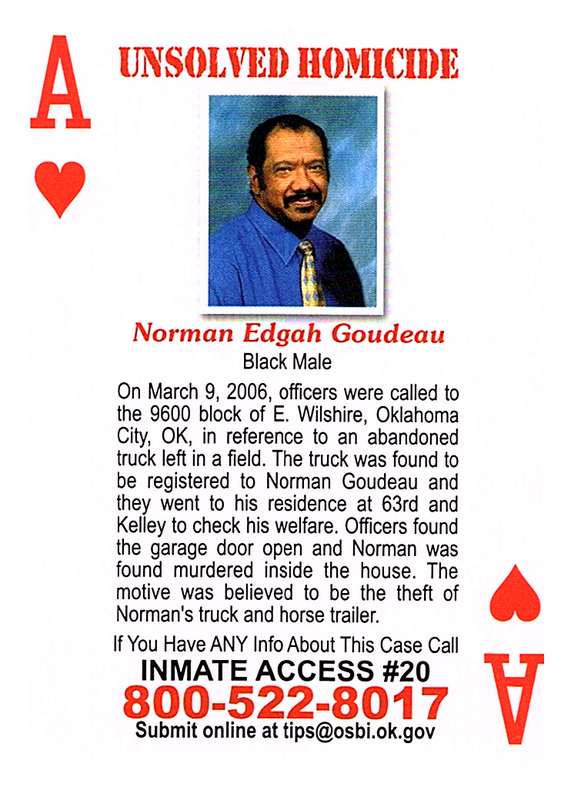 The truck was found to be registered to Norman Goudeau and they went to his residence at 63rd and Kelley to check his welfare. Officers found the garage door open and Norman was found murdered inside the house. The motive was believed to be the theft of Norman's truck and horse trailer.